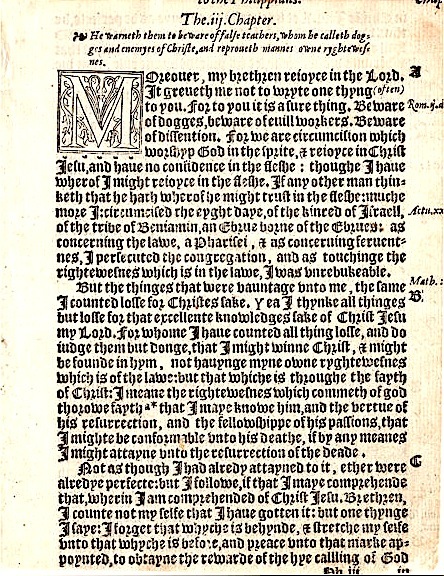 KJV~1611, still renowned for it's poetic beauty and excellent grammar, though dated, and in spite of it's many small errors (later) and large (will post later); is said by some to be written by renowned poet/playwright, Shakespear, said to have been an Earl of Oxford and Queen Elizabeth's firstborn. Very interesting volumes/history. Its original source texts are Textus Receptus based (Greek trans). JB. Rotherhams/1897 New Testament/Old Testament wasn't real popular but is considered by most scholars to have been the most excellent of all Bible translations from the Greek, ever, in spite of it's dated grammar. Westcott Hort based (Greek trans). American Standard, popular in the 1800s. it's essentially an upgrade from the KJV, and uses the old Jehovah form. Unfortunately it was not as beautifully written This was especially popular with the Jehovah Witnesses who used it and JB Rotherhams' (both Westcott Hort based/Greek) until they made their own. I would like to post the JW's New World Translations, for comparison purposes, maybe later. Old testament texts are difficult to upload here... hmm... I love mine, a hard to find interlinear, very convenient little volume of NT, for my Greek studies of holy writ/along with my Nestle/Aland 27th Edtn.. I intend to post, also, my Wycliffe version with it's Romanized name (Iesus) which is a very interesting but difficult to read version: I really can't wait to see what this astute scholar did with Hebrews 4:8. It is a very interesting antique Bible to say the least; but I gleaned a few others I intend to post, also, including Tyndale's and the modern WEB, besides Youngs and Darby's and especially Murdocks and other versions of the Peshitta, and the Septuagint, or anything I might think of later... like Strong's Concordance if possible... hmm... maybe Nelson's 1952 upgrade of the ASV called the Revised Standard version which I find to be very good, plus it has a wonderful preface which I am intending to publish likewise if I get a chance... and permission I suppose too (likewise I'd love to post Basic, may need permission first, too). I am not here concerned about the newer versions recently published past the 1952 Revised Standard by Nelson. No time really... too much work. I like to stick to the older standard versions published before the Illuminaughty and Jesuits got their disinformationists and Romanizing saboteurs fixated in the publishing industries.